Well, it could be nice, but I think the Spanish Ropera is a better option, 1)because they almost have the form except for all that chaotic skulls and veins and else on the guard, and 2)its use was more widespread over europe so it would be better for reenacting groups. 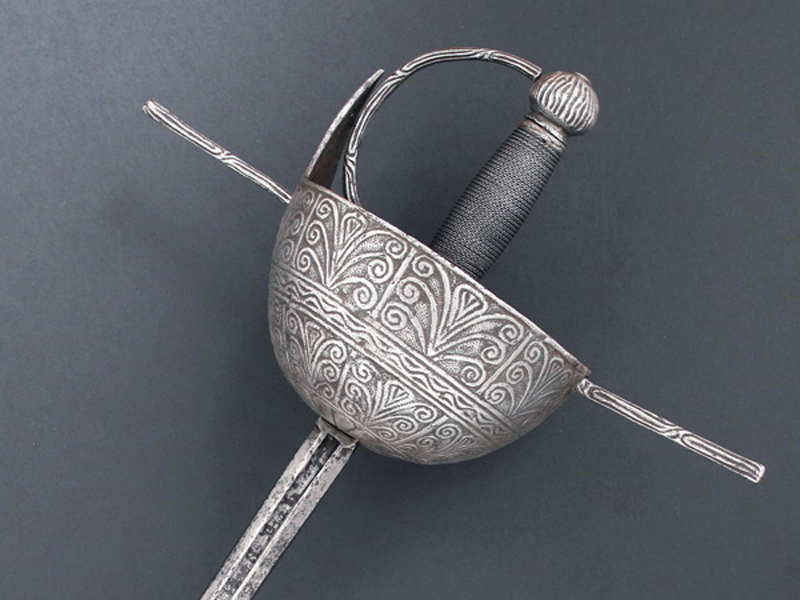 A matching second hand sword would be lovely too. That would be absolutely perfect examples of what I meant. Steel blade would be perfect. The length, between 100 and 115 cm. I'd keep it simple in the colors for the handle, black, steel, or maybe a little bronze. Really they almost designed it, but too small. A friend of mine bought recently one of these: http://www.calimacil.eu/weapons/others/nails-staff.html. It look really better in reality than in photos. If they added other 6 to 10 inches of the nailed part, and another 6 to 10 inches in the lenght of the handle, they would already have a kanabo. I consider the best would be 10 inches on both sides and will have an impressive weapon.